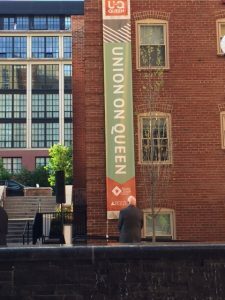 Union on Queen is a new mixed-income, multifamily community of 193 apartment residences located in Arlington and developed by The Bozzuto Group and Wesley Housing Development Corporation. Forty percent (78 units) are designated as affordable for households earning 50 and 60 percent of the area median income. The remaining 115 units are market rate apartments. As part of the development plan, 12 of the original units were preserved and renovated as affordable housing. Union on Queen is a 12-story LEED silver-certified development with energy efficient appliances, low VOC paint and drought tolerant landscaping. With its proximity to the Orange, Blue and Silver lines at both Rosslyn and Courthouse stations, Union on Queen provides multiple options for transit throughout the region. 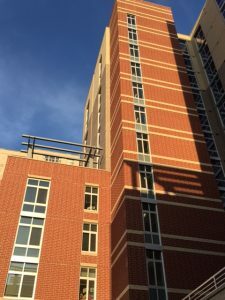 This project received significant support from Arlington County in furtherance of the Affordable Housing Master Plan and the Virginia Housing Development Authority. Other financial partners included Capital One, Hudson Housing, Walker& Dunlop and Freddie Mac. As one of a few mixed-income developments in Arlington, this project demonstrates that affordable and market rate apartments can be successfully combined and provide quality housing and amenities for a variety of incomes. These types of developments ensure that public sector workers and employees essential to the service economy have the opportunity to live in the community where they work.